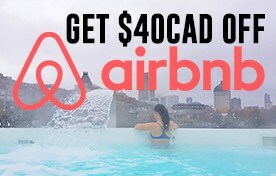 You’re going to immediately wonder why you don’t make this more often. 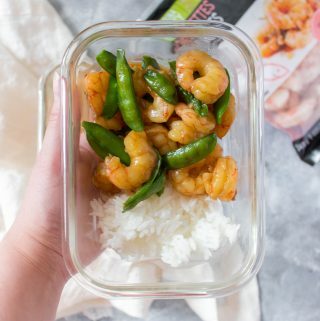 This Easy Teriyaki Shrimp Stir Fry takes under 30 minutes to put together and makes for the perfect meal prep! 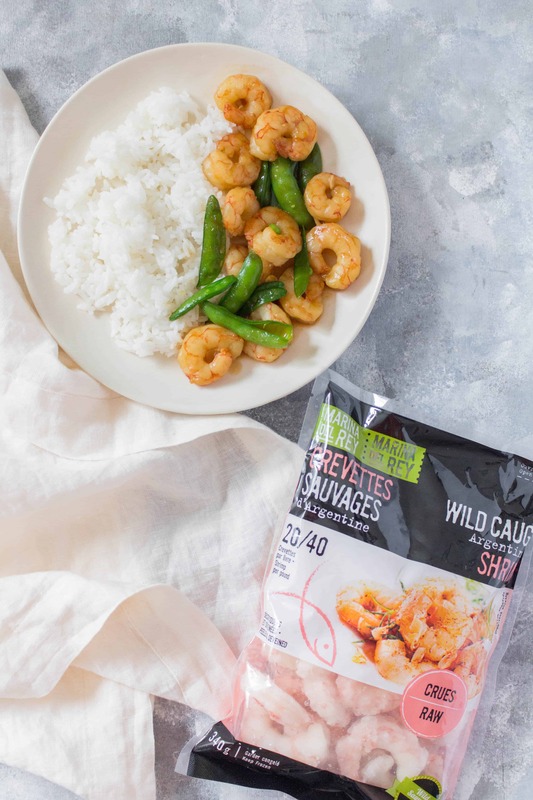 Having frozen shrimp on hand is a lifesaver. Have you ever disappointed your mom because she asked you to take something out of the freezer for dinner and you totally forget? 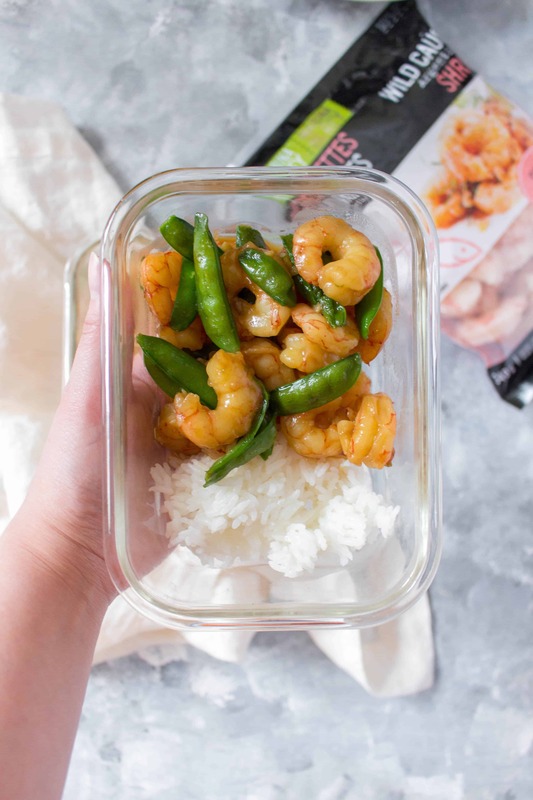 Luckily, with frozen shrimp, it takes around 10 minutes to thaw in cold water, then really only 10 minutes maximum to cook on the stove. Pretty lucky save huh? 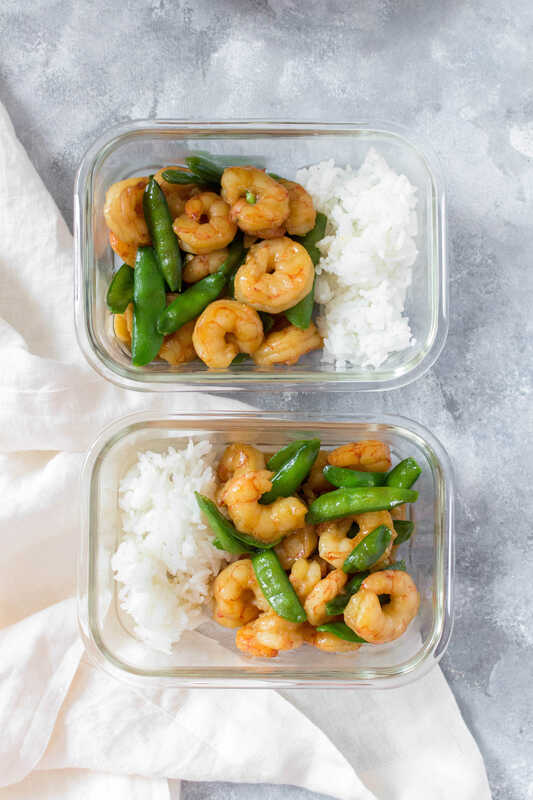 Pair that shrimp with my super easy teriyaki sauce and some green, and you’ve got yourself the easiest dinner (or meal prep for lunch). 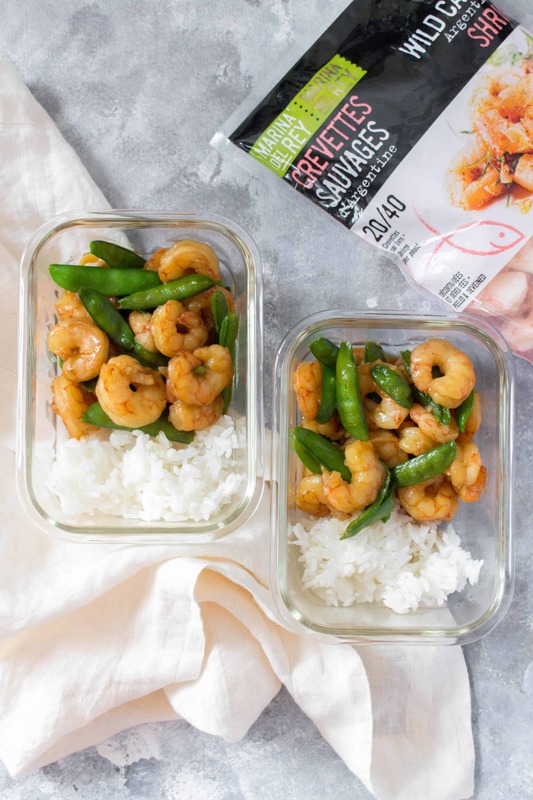 For this easy teriyaki shrimp stir fry, I used the same teriyaki sauce in my sheet pan chicken teriyaki meal prep, it’s a delicious and versatile sauce. The shrimp can also be marinated in this sauce if you’d like as well. Did you know that In some cases with farmed shrimp, ecologically-sensitive habitat has been cleared in the past in order to create ponds for shrimp production. This has unfortunately led to negative effects on coastal communities. 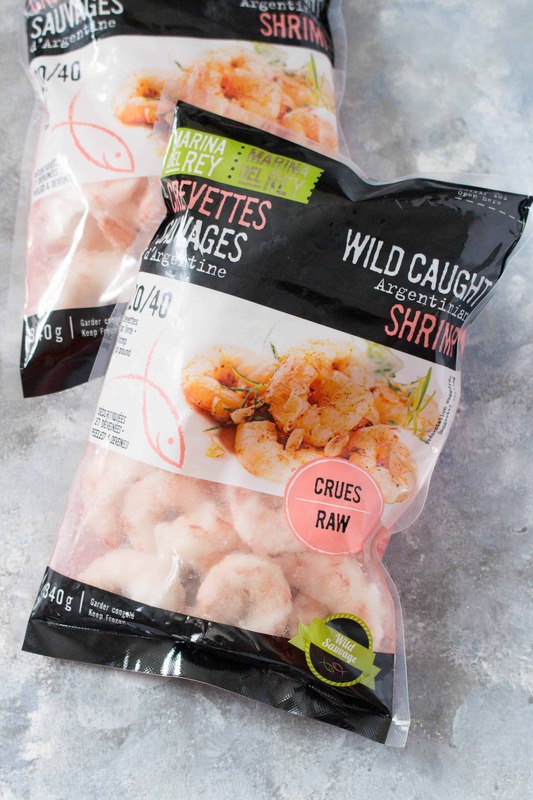 With Marina Del Rey’s Wild Caught Argentinian Shrimp, they work with responsible fisheries that are constantly working towards improving their fishing practices through Marine Stewardship Council standards in order to have a low as possible ecological impact. 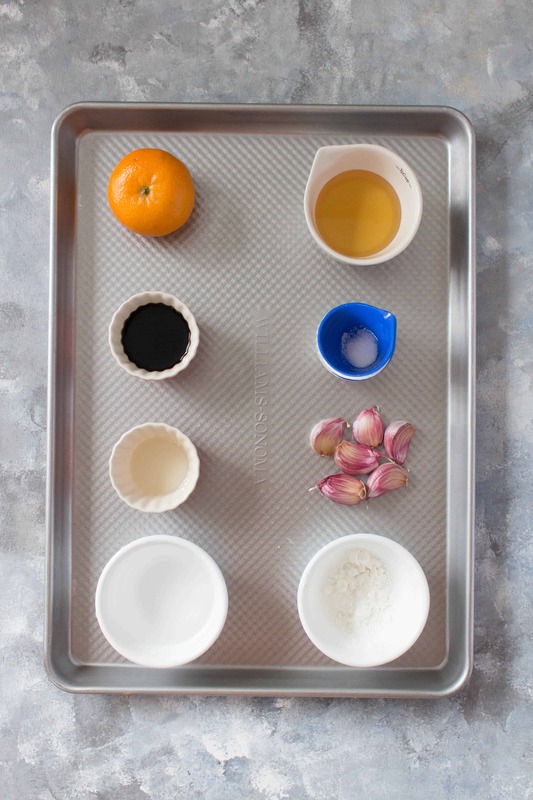 In a small sauce pan, mix together all of the ingredients for the teriyaki sauce expect for the cornstarch. Let it come up to a boil before adding in the cornstarch to thicken then remove the pan from heat. In a large skillet/pan on medium heat, add in olive oil and snap peas. 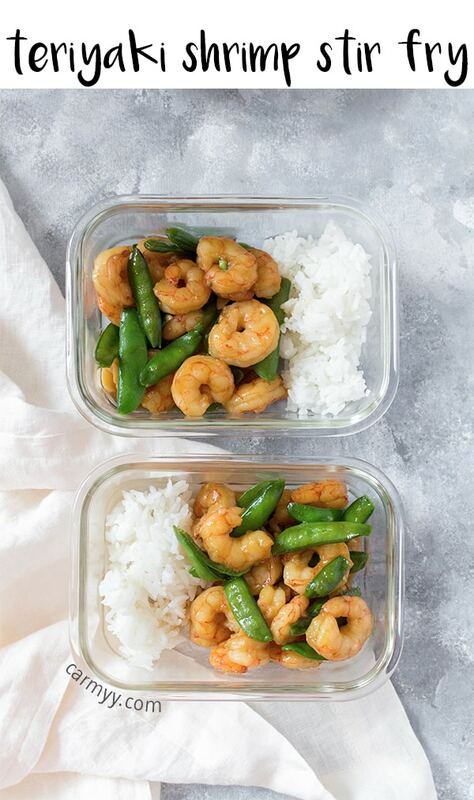 Let the snap peas cook for 2 minutes before adding the shrimp and a pinch of salt into the pan and the sauce. Cook until the shrimp is cooked through, approximately 4-5 minutes. Serve with your choice of grain. Make sure to pat dry the shrimp before cooking the shrimp. 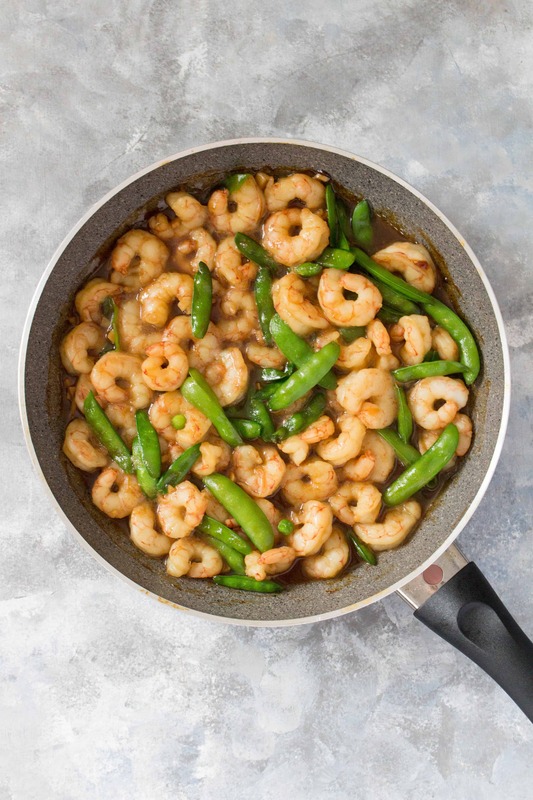 If your shrimp is wet, the shrimp will steam in the pan instead of getting a nice caramelization on the shrimp. Want to add more vegetables to this? Make sure they are the same size as your snap peas so everything cooks evenly (vegetable ideas: broccoli, bell peppers, onions, etc). Using peeled and deveined shrimp saves time but if you only have the shells-on shrimp, those work as well.